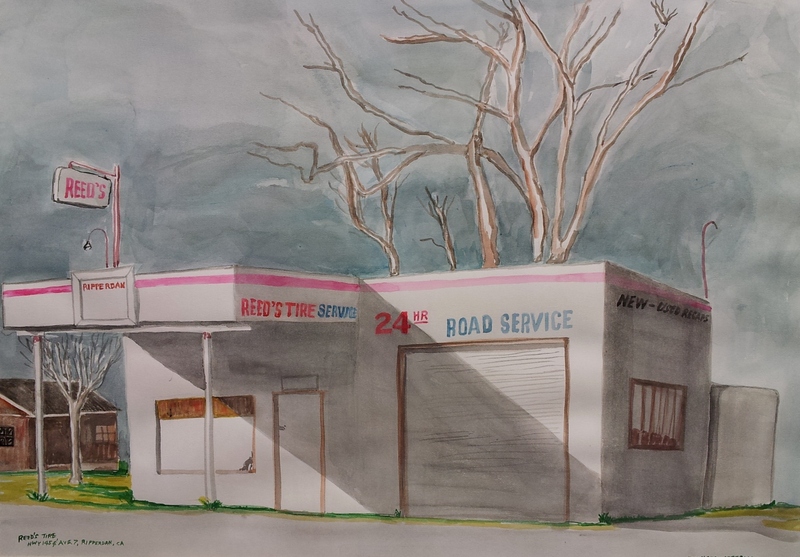 This painting of Reed’s Tire Service at Ripperdan, will be at the Chris Sorenson Studio’s Pink Show on Thursday January 8, 2015, and there through January 30. This show donates funds to the Craycroft Center for Children’s Cancers at Valley Children’s Hospital. If you have questions, contact me or comment.